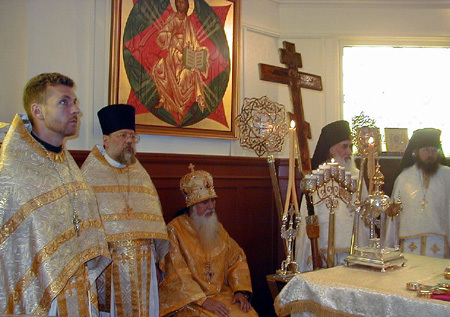 On June 11, 2000, the Cathedral community was honored to welcome His Grace, the Right Reverend Tikhon, Bishop of San Francisco and the West on his annual visitation to the Cathedral parish. The clergy and parishioners of Holy Trinity Cathedral were also joined by clergy and faithful from around the Diocese. 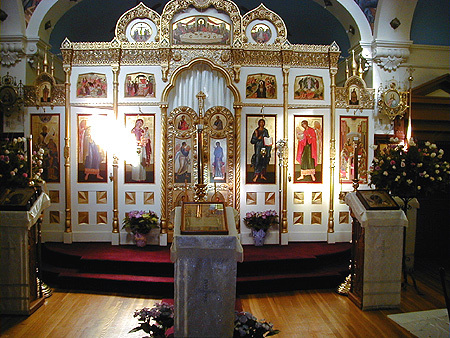 During the Divine Liturgy, Father Victor Sokolov, Cathedral Rector, was raised to the dignity of Archpriest. 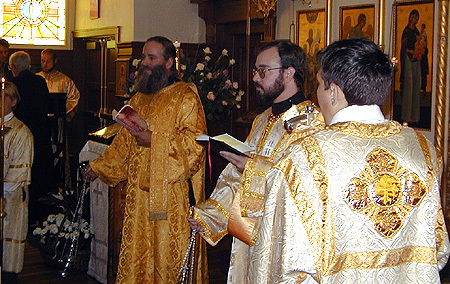 The Monk Isidore was ordained a Subdeacon and Hierodeacon. 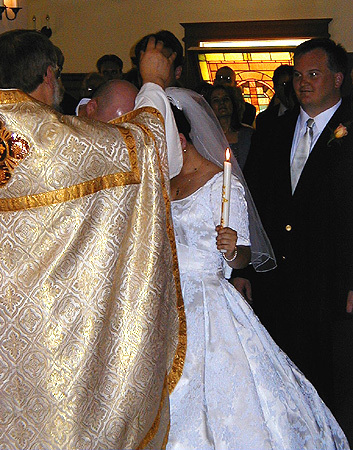 Following the Divine Liturgy, the Marriage of Lawrence Gaudreau and Katherine Van Winkle-Rodriquiez took place. 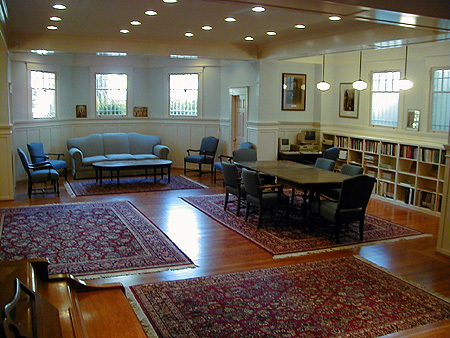 The newly renovated Cathedral Library and Fellowship Center. 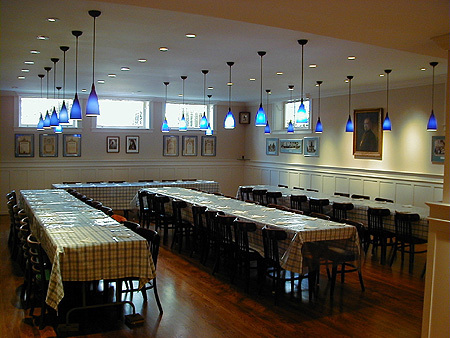 The newly renovated Parish Hall. 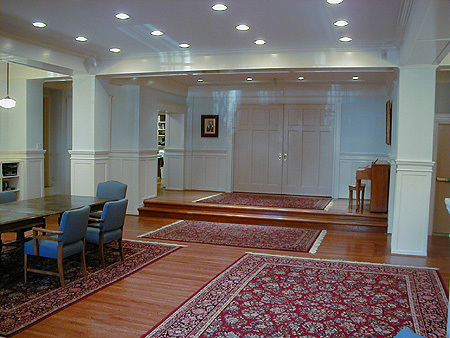 The Temple before the weekend services. 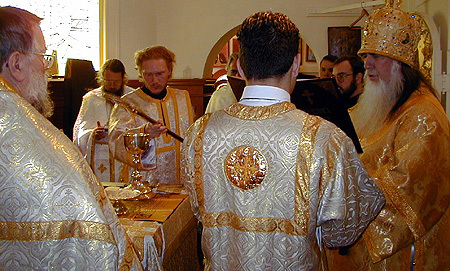 Diocesan clergy and servers. 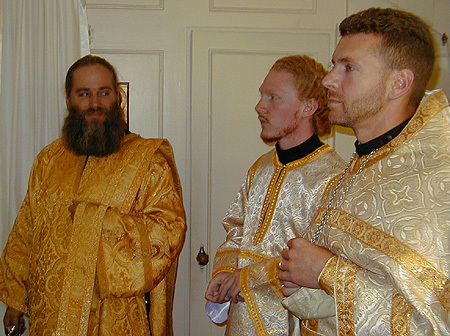 From left to right- Subdeacon Henock Soot, Subdeacon Kirill Sokolov, Father Jonah (Paffhausen), Deacon David Bower, Father Nikolai (Soraich). 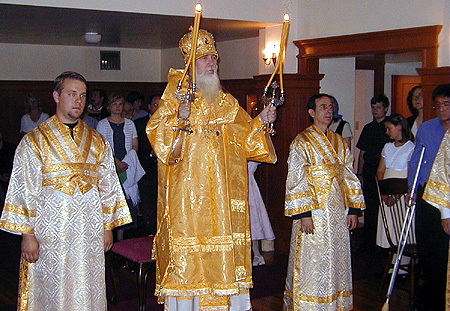 Diocesan clergy. 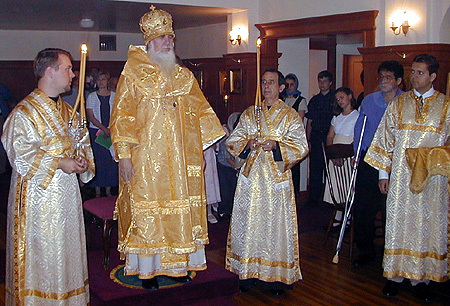 From left to right- Deacon David Fabula, Monk Isidore, Father Stephen Soot. 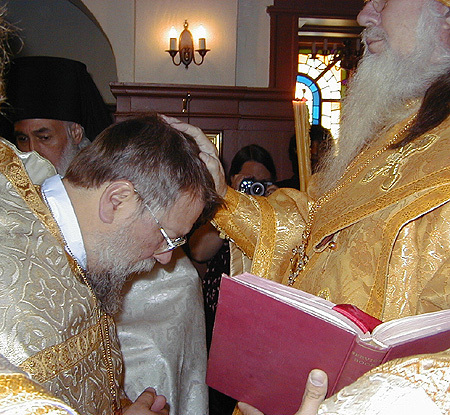 His Grace, the Right Reverend Tikhon, Bishop of San Francisco, blessing the faithful on the completion of the Entrance Prayers. 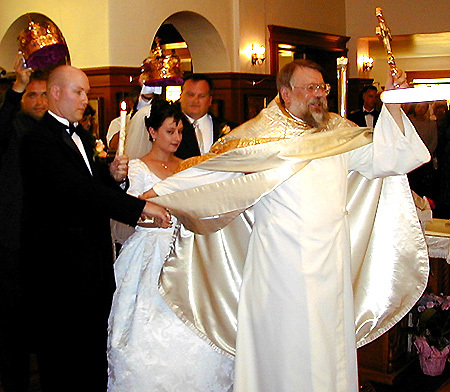 Bishop TIkhon immediately following the Vesting. The Deacons reciting the Vesting Prayers. 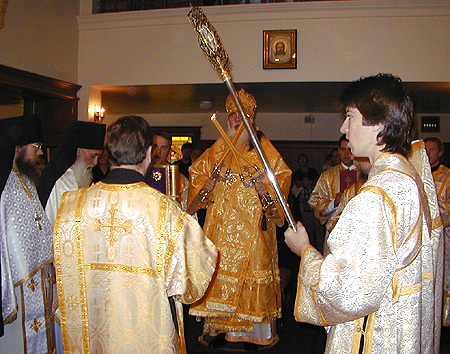 His Grace blessing the faithful on the completion of the Vesting. 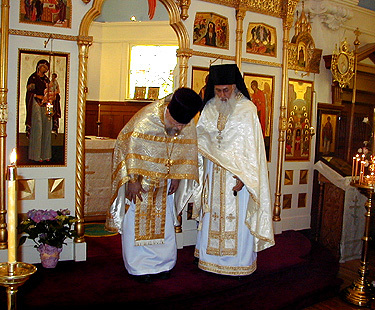 Bishop Tikhon ordaining Monk-Reader Isidore to the Subdiaconate before the Divine Liturgy. 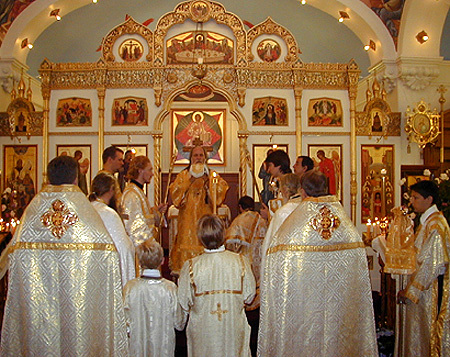 The clergy and faithful at the beginning of the Divine Liturgy. 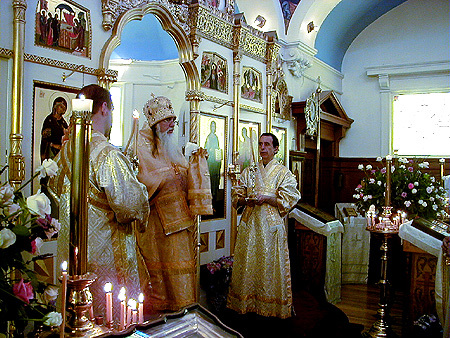 Archimandrite Nikolai (Soraich) presenting Father Victor Sokolov, Cathedral Rector, to the Hierarch. 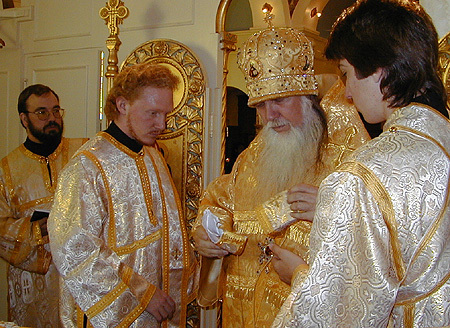 Bishop Tikhon reading the prayer of elevation to the Archpriesthood over Father Victor Sokolov. 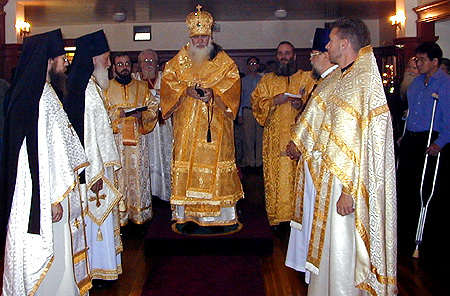 The Bishop and priests during the reading of the Epistle. 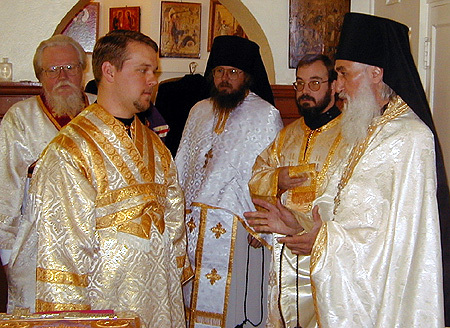 The Ordination of Monk-Subdeacon Isidore to the Holy Diaconate. 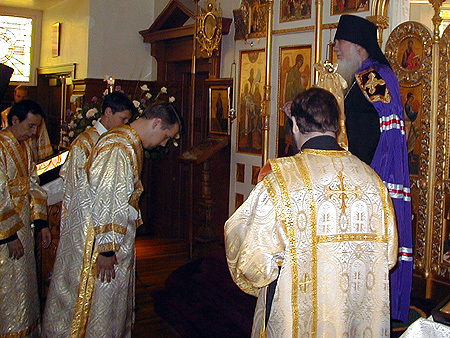 Hierodeacon Isidore fanning the gifts in his first liturgical act as a Deacon. 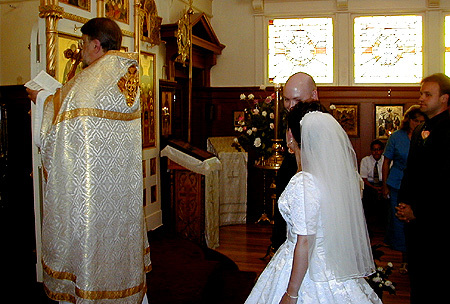 The faithful preparing for Holy Communion. 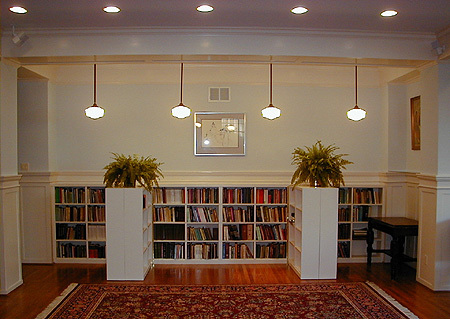 His Grace delivering a sermon. 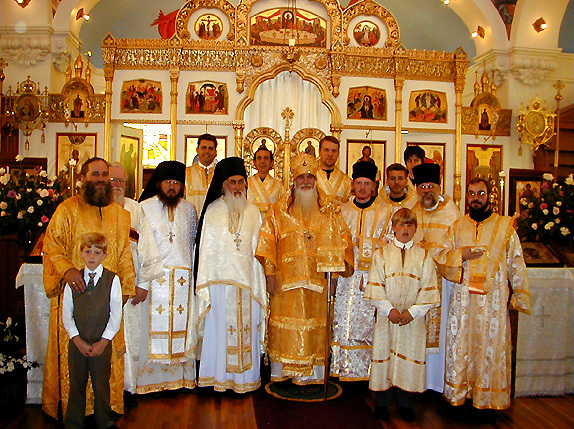 The clergy and servers who had concelebrated the Divine Liturgy. 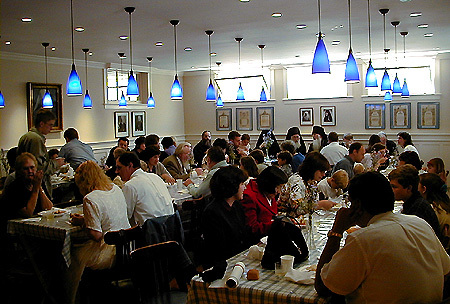 The festal meal in the Parish Hall. 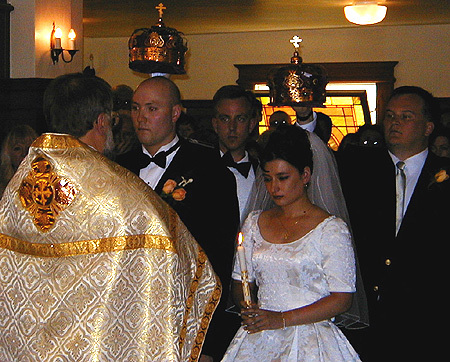 The Marriage of Lawrence Gaudreau and Katherine Van Winkle-Rodriquiez.